In the past month opposition to CIA drone strikes has started to gather pace as lawmakers in the US have finally started to look more critically at the program. ‘Signature’ strikes are missions that are predicated on patterns of behavior – such as the location, the time of day, the number of people gathered together, and intelligence of often dubious reliability – rather than the identification of a high value target on the government’s kill list. Mistakes in such circumstances are inevitable, especially when the reported operating assumption used by the CIA is that any male of military age in Pakistan is a combatant target in the absence of specific intelligence to the contrary. This is a reversal of the international humanitarian law principle of distinction. In an environment in which only a tiny fraction of the male population actively support Al Qaeda or the Taliban, it is unconscionable. This is far from an unwarranted fear. Just last month the Electronic Frontier Foundation (EFF) released a list of 60 plus public and private agencies that have received Federal Aviation Authority (FAA) approval to fly domestic drones which includes North Little Rock Police Department, Gadsden Police Department and Mesa County Sheriff’s Office. Montgomery County Sheriff’s Office in Texas has actually fitted a taser to a drone – a bargain at $500,000, half of which was covered by the Department of Homeland Security. The “ShadowHawk” is a mini drone helicopter that can fire four barbed electrodes a distance of 100 feet, delivering “neuromuscular incapacitation” to the victim. In the absence of limiting legislation, it is probably only a matter of time before other law enforcement organizations explore similar options, for example, the aerial dispersal of agents like pepper spray or tear gas as a crowd control measure. Finally this week, further evidence emerged of just how out of step the Obama administration’s escalating use drones is with the rest of world – even with US allies. A Pew Global Attitudes Survey found that the United States was a “significant outlier” in an opinion survey about drone use. 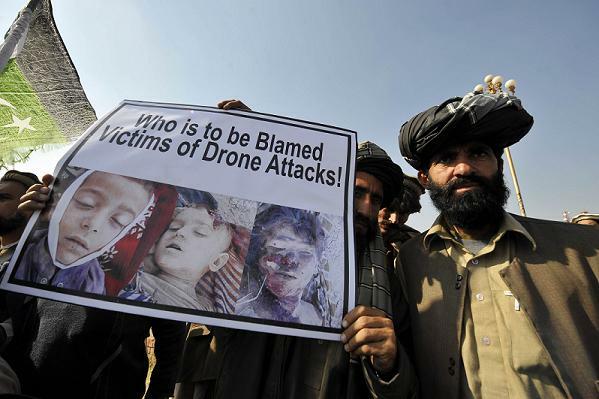 In no other country surveyed was there a majority that approved of drone strikes. The UK came closest with an approval rating for drone strikes of 43%. In Spain and Japan it was only 21%, in Turkey 9%, and in Greece just 5%. It’s not often you find something that both Greece and Turkey agree on. The Pew Survey also found that there was a 28% disapproval rate for drone strikes in the United States and while this is a disappointing figure it is nevertheless still a substantial base of opposition on which to build. The more voters find out about the reality of drone use – the less they are going to like it. 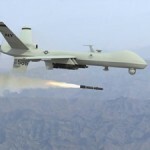 The Bureau of Investigative Journalism based in City University, London, estimates that between 2,854 and 4,175 have been killed by US drone strikes in the past decade in Pakistan, Yemen and Somalia. These include people like sixteen-year-old Tariq Aziz and his 12-year-old cousin Waheed Khan who were killed last November by a drone strike in Pakistan as they drove to pick up their aunt from a neighboring village. 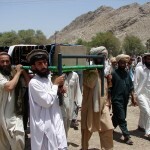 The two children were the only casualties of the drone strike. We are not currently at war in any of the countries that I have just mentioned but we are rapidly alienating our few supporters in them and driving more and more people into the arms of Al Qaeda and its affiliates. Even drones can’t kill that fast. This policy is not only immoral and unlawful, it is failing too, and the sooner we start to put limits on when and where drones can be used, the better it will be for us all. This entry was posted in Asia and the Pacific, Security and Human Rights, USA and tagged drones, Electronic Frontier Foundation, Montgomery County Sheriff’s Office, pakistan, Pew Global Attitudes Survey, predator, rand paul, Ron Paul, security with human rights, ShadowHawk, Taser, UAVs by Tom Parker. Bookmark the permalink. Tom Parker is the former Policy Director for Terrorism, Counterterrorism and Human Rights at Amnesty International USA. Such a amazing information about how to get fallout shelter cheats online then visit our website and get an online fallout shelter hack for unlimited caps, lunchbox and other resources within minute. It is really windows very delete password in windows 10 best for this commet.